Yes, staged! 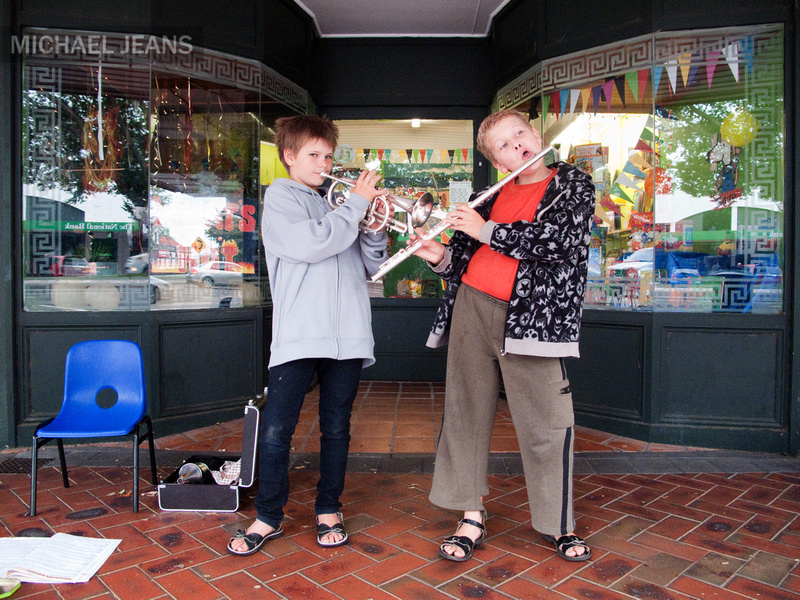 Two lads, from Cambridge Middle School, happily playing competing solos outside Wright’s Bookshop in Victoria Street, Cambridge, New Zealand this morning – until I come along and ask them to stand together for this photograph. Performance is big here this weekend with Cambridge Autumn Festival – a full day tomorrow in and around Cambridge CBD. And we have the Juggling Olympics 2pm – 4pm, today, at Lake Karapiro Domain.